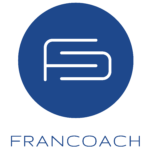 When you visit https://www.francoach.net/ we collect personal identification information from Users in a variety of ways. This includes information about your web browser, IP address, time zone, and some of the cookies that are installed on your device. Additionally, as you browse the Site, we collect information about the individual web pages or products that you view, what websites or search terms referred you to the Site, and information about how you interact with the Site. – “Tags,” and “pixels” are electronic files used to record information about how you browse the Site. This document was last updated on November 07, 2018.